Our approach is simple. We want to get to know you in order to help you make the best decisions for your unique situation. We’ll help you to get started in what can seem like a daunting process by outlining a systematic approach using our knowledge and experience along with the latest technology to prepare a thoughtful plan of action. 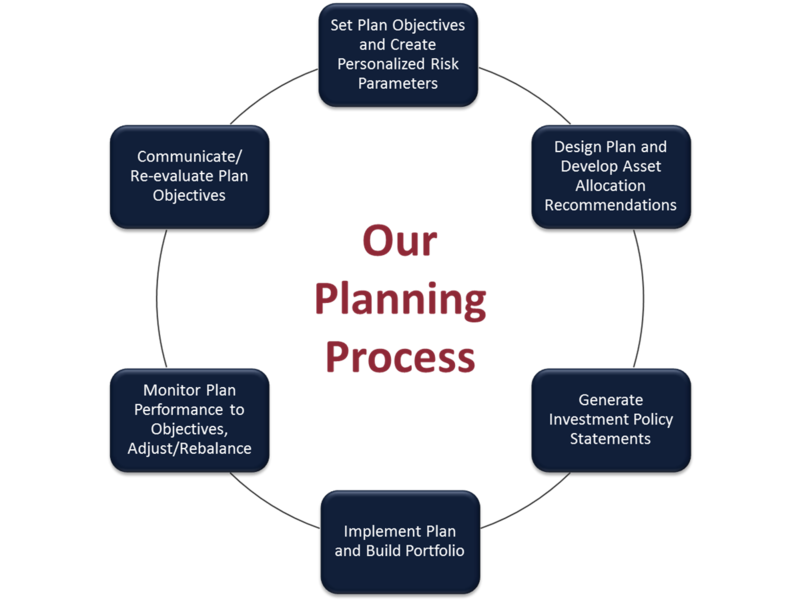 As a firm, our focus is to understand your goals and develop a plan to help you work towards them. We get to know you and your goals and then develop a thoughtful plan of action. We will meet with you to present an analysis and discuss our recommendations. Together, we implement the recommendations and monitor your progress. From here, we will plan regular meetings with you to assess the progress toward your goals and, when necessary, make adjustments to your financial plan.